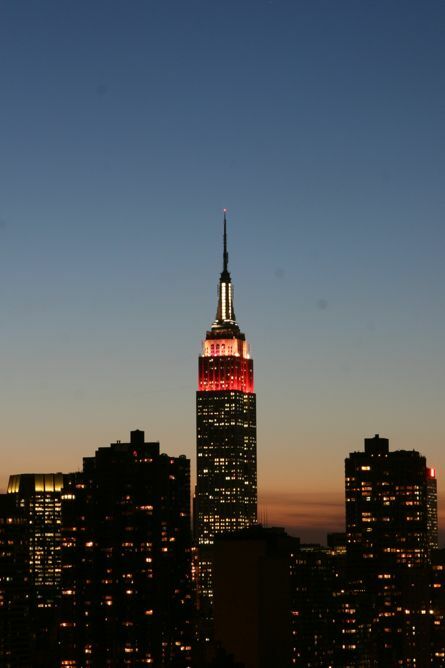 Before I moved to New York, I never realized that the Empire State Building’s lighting scheme changed so frequently. I found the site where they detail the lighting schedule. The wikipedia page also has some good information. Since it’s Valentine’s Day, the lighting today was red, pink, and white. Here’s what it looks like from 33 floors up and across the East River.